The new TORMAX Hermetic automatic sliding door system significantly raises and redefines the standards of quality for hermetic and air-tight doors. This has been made possible as TORMAX turned its attention to all the technical and functional details. 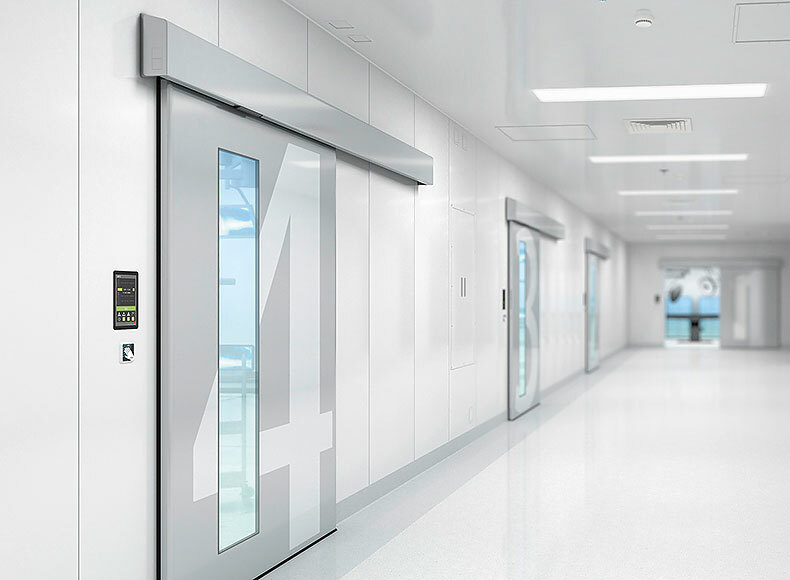 The result is a door system that meets the various requirements of operating theatres, radiology rooms, quarantine zones, laboratories and clean rooms in research and industry. The innovative drive technology means that even very heavy doors are opened and closed smoothly and quickly. The door leaf with all-round sealing is lowered shortly before the final closure and pressed against the integral door frame. Integral sensors ensure an uncompromising protection and error-free detection of persons. They are built into the door system in a discreet and hygienic manner. Vibration-absorbing components enable extremely quiet operation, thus increasing the comfort even more. The sophisticated technology is installed invisibly in a slim, elegant structure. The design and materials of the door leaves can be customised in many different ways. A wide range of accessories is available. You benefit from TORMAX’s decades of experience: long-lasting, tried and tested components ensure low maintenance costs. The TORMAX Hermetic automatic sliding door system meets the highest safety standards and is certified to EN 16005 / DIN 18650. Thanks to the newly developed, unique sealing of the system it meets the requirements for air-tightness and comfort combined with a high degree of safety. 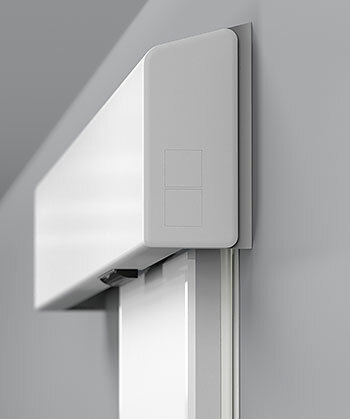 Combi-sensor for opening and safety is discreetly incorporated in the cladding. The door is also secured when the cladding is open.